This panel shared various points-of-view on the innovation ecosystem in Chicago with VC, startup and industry/academic partnership stories. Ringleader Ventures is a corporate venture capital firm that matches established enterprises with exceptional entrepreneurs. They partner with Fortune 1000 clients to understand their challenges, then hunt for startups that can solve them. Loud Steps is indoor navigation for the visually impaired. Paul has an office at 1871 and discussed the startup scene. Patrik Fiegl, Vice President S/4 HANA HUB Americas, SAP. Patrik shared the Kraft Data Dive story; how and why it was done and what Kraft got out of it. SAP University Alliances, in partnership with the SAP Midwest Market Unit, ASUG, Customers, SAP Partners and Local Thought leaders are committed to the development and on-going nurture of a cross organization, cross discipline community dedicated to the growth and development of best practices, intellectual development and business growth through the journey to tomorrow’s digital Economy. We are launching a new community to focus on the development and integration of early talent development, Business Process refinement, Best Practices of the Internet of things across a network that Includes Students, academic thought leaders, business thought leaders and Subject matter experts. The community’s purpose will be to bring together the best minds in the area to discuss, develop and advance business solutions in the region. This will be done through involving select regional universities, the SAP community and other Thought leaders in on-going social dialogues, business networking events, research projects, idea and best practice sharing, mentorship and talent development. This session provided an overview how the University of Illinois at Chicago (UIC), a member of the SAP University Alliances, uses new innovative approaches to teaching operations, supply chain and analytics, with the goal of producing the next generation talent in these disciplines. The session featured an overview of UIC’s curriculum offerings in these areas and special programs that deliver knowledge to students through experiential learning. Tools such as SAP, as well as others, have been integrated into the curriculum to provide students with hands-on experience. 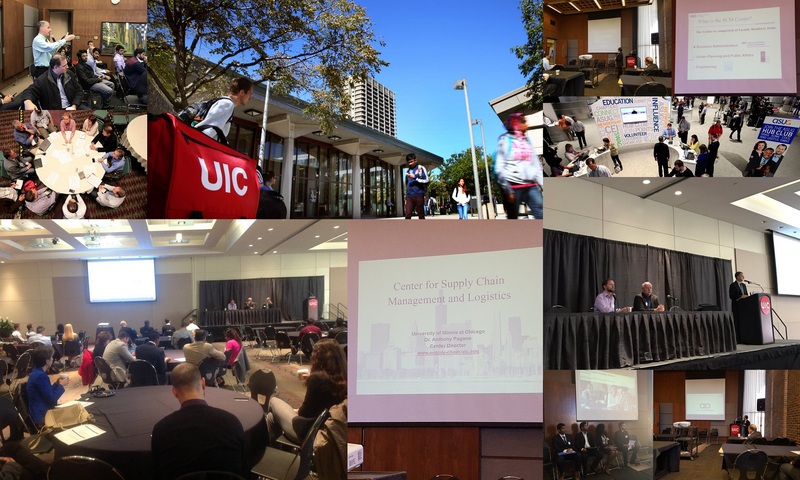 Furthermore, through its Center for Supply Chain Management and Logistics and Center for Research in Information Management, UIC engages students in forward-looking research in these areas. Additionally, these centers serve as forums for UIC to integrate the business community in the formulation of its curriculum and research programs, and to engage students in real-world projects as part of their learning. Students from UIC led a reverse panel in which they asked questions to the audience related to using SAP, entering the workforce, and professional development. The session helped answer questions, and gain valuable perspective in what young professionals are looking for when entering the workforce. We had a terrific day and I want to thank our hosts at UIC and in particular the ASUG Chicago Chapter along with ASUG leadership for making it all possible.